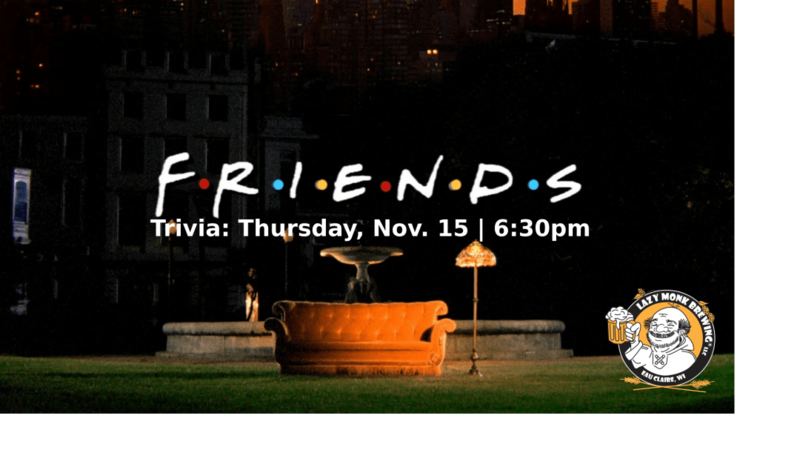 Grab your favorite friends and test your knowledge on the ever popular "Friends" sitcom. A mix of questions that everyone should know, as well as those that might stump even the most die hard fans. Prizes awarded.